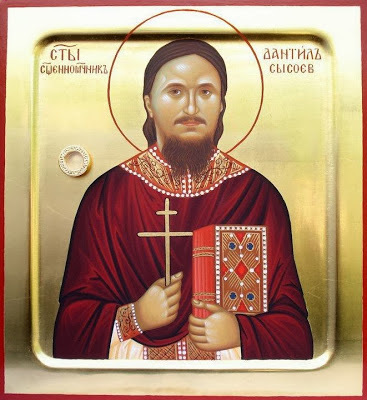 Fr Daniil was not any ordinary casualty of Islam’s renewed war on Christians in the early third millennium after Christ’s First Coming in the Flesh. He was a towering figure in the Russian Orthodox Church, a theologian, writer, evangelist and missionary, extending his endeavours to all Muslims, neo-Pagans, Jews, Protestants, excluding none.. He particularly engaged in open debate with Muslims, and converted scores of them from Islam to the Orthodox Gospel, including a number of Wahhabi extremists. 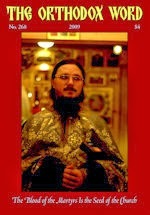 In the Islamic space of Russia he had earned the nickname “Russian Salman Rushdie”. 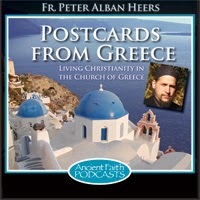 For his profound faith and tireless efforts, he has earned the titles of Confessor, Evangelist, Apostle to the Muslims, and Pillar of Orthodoxy in the 21st Century. That his zealous but loving and peaceful missionary work among Muslims enraged some of them to resort to murder in order to silence him, proves the strength and validity of his witness to Christ, and seals his life’s work with the pure blood of holy martyrdom. The purpose of this page is to provide a representative collection of essential resources on New Martyr Fr. 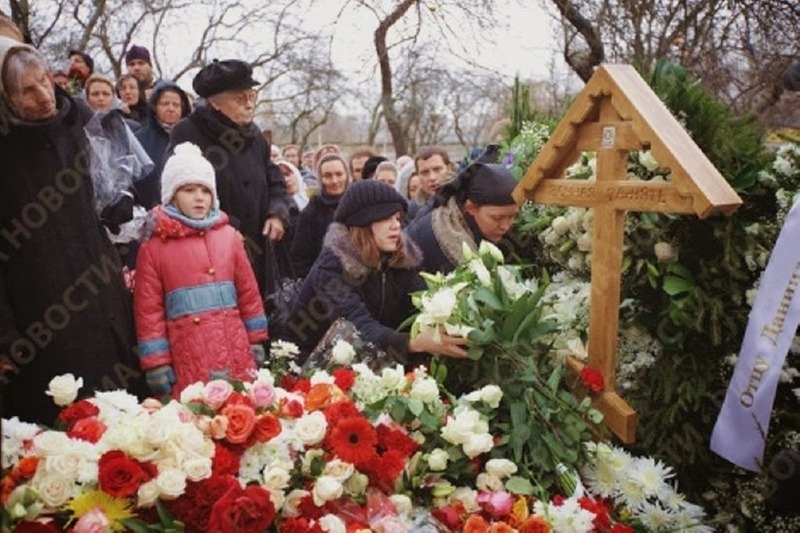 Daniil Sysoev, to promote the veneration of Father Daniil as a Saint of the Church, and to inspire others to follow his example, take up their crosses, and labour for our Lord Jesus Christ. You Wish to See Many Miracles? – You Should Become a Missionary or a Martyr! New online store for book ordering, plus digital publication on the ISSUU platform, bring Fr. Daniel’s works to the English-speaking world. Numerous titles available with many more to follow. More info with links here. With English subtitles. A message on Christian love and concord, full of scriptural references and spiritual truths. Death is the last event in a person’s earthly life. For a missionary, death is the last homily, the last message preached, the last witness for Christ, Whom the missionary loved with complete readiness to sacrifice his or her life for the sake of the triumph of the Faith. 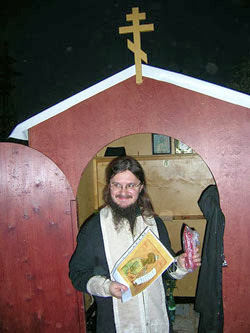 Father Daniel Sysoev had prepared himself for this sacrifice long before… Read the full article. To shortly describe Fr. Daniel, he walked before God. … He walked with a light step, like a person who knows where he is going and why, one who is calm in the present and that does not worry about the future because he has entrusted all his cares to the Lord, Who is as close to him as a Loving Father. Read the full article and interview. 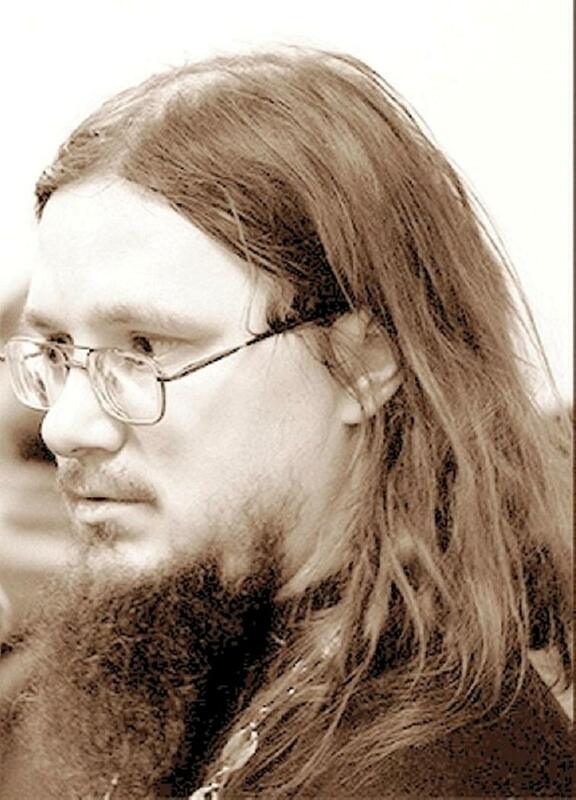 (Pravda, Moscow, 11/20/2009) Orthodox Priest Daniil Sysoyev was assassinated in Moscow on the night of November 19. … The unidentified assassin was wearing a doctor’s mask when he attacked the priest, Interfax reports. 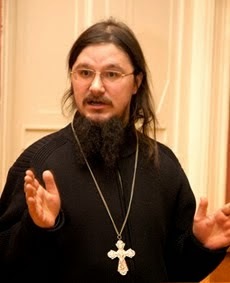 The criminal entered Holy Apostle Thomas Church in the south of Moscow on Thursday night, at about 10:40 p.m. …The man rushed into the church and shouted: “Who is Sysoyev here?” The 35-year-old priest came forward, the attacker pulled out a gun with a silencer, and shot him in the neck and in the head. … Read the full article. This entry was posted in Orthodox Theology and tagged Daniel Sysoyev, Extremism, Genocide, Islam, Martyrs, Militant Islamic, Miracles, Mission, Missionary, Murder, New Martyrs, Orthdoxy, Orthodox Christian, Orthodox Church, Peace, Persecution, Russian, Salman Rushdie, Sword of Islam.